Fridayâ€™s keynote speaker is Susan Evans McClure, director of Smithsonian Food History Programs at the National Museum of American History, discussing â€œFood at the Nationâ€™s History Museum.â€ McClure oversees the creation, planning and production of programs that explore the complexity of American history through our experiences with food and agriculture. 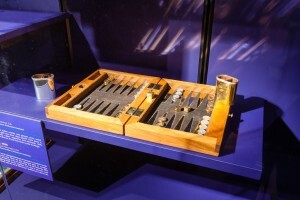 Itâ€™s only fitting that the Museum of American Finance (MOAF), an affiliate of the Smithsonian Museum system located in New York City, would turn its attention to gold. The museum, established in 1961, becomes the second cultural institution in Chicago to be granted the prestigious affiliation (the Adler Planetarium is the other). â€œI want them to see how much they can learn from it,â€ she said. â€œThey are in control of their future. â€¦ Kids can come alive and realize they can accomplish something.â€ Free Museum Day Live! is funded by a National Endowment for the Humanities grant through the Smithsonian. Holbrooke said itâ€™s the first time Pinhead has participated in Museum Day Live! MODA is excited to be joining the Harvard-Smithsonian Center for Astrophysics program, Youth Capturing the Colorful Cosmos, to bring astrophysics and scientific visualization skills to young astronomers. Students will have access to telescopes and images as they design their own experiments. The museum will join hundreds of other cultural institutions across the country as the Smithsonian celebrates a nationwide campaign to reach women and girls in underserved communities. “We couldn’t be more happy to finally bring this snake to Idaho,” said Leif Tapanila, the museum director. The IMNH hosted family friendly activities from 10 a.m. to 2 p.m. to coincide with the opening of the new exhibit â€œTitanoboa: Monster Snake,â€ a Smithsonian Traveling Exhibition Service exhibit. The exhibit also includes 3D animation of Titanoboa created by the Idaho Virtualization Lab (IVL). In addition, guests will get the opportunity to handle a 3D printed Titanoboa backbone and compare it to the backbone of a Green anaconda, the heaviest snake species alive today. 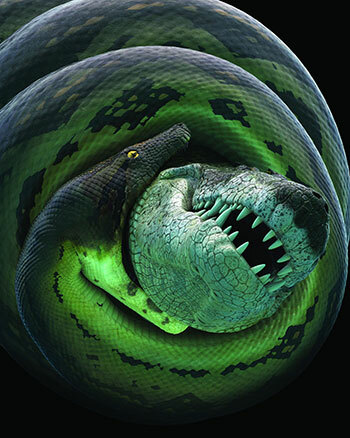 On March 19, the IMNH will host family friendly activities from 10 a.m. to 2 p.m. to coincide with the opening of the new exhibit â€œTitanoboa: Monster Snake,â€ a Smithsonian Traveling Exhibition Service exhibit. Activities will include bubble snakes, snake mobiles, sleeping bag snake races and cold blooded activities. Activities are free in the museumâ€™s Discovery Room, while Titanoboa can be seen in the gallery with payment of admission. For Museum Day LIVE!, the museum will present a speaker series featuring women in STEM careers. Headlining the series will be Ginger Kerrick, a native of El Paso, graduate of Hanks High School and Texas Tech where she holds a Masters degree in physics. Kerrick began working for NASA as an intern in 1991 and in 2005 becameÂ NASAâ€™s first Hispanic female flight director. 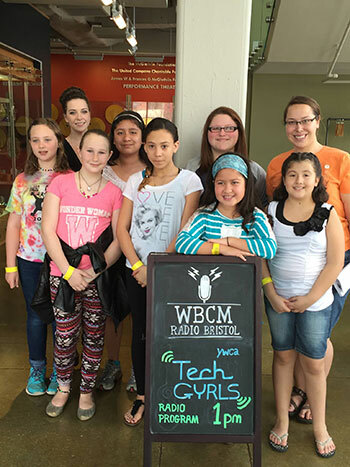 The TechGYRLS at the Birthplace of Country Music Museum. The Museum Center at Five Points will lose Hassan Najjar as its executive director today after a three-year tenure that has been credited with revitalizing the museum’s mission and lifeblood. The Smithsonian Institutionâ€™s National Museum of American History has loaned two items: a 1950s-era Mr. Potato Head and a Digi-Comp 1, an early mechanical computer. Mr. 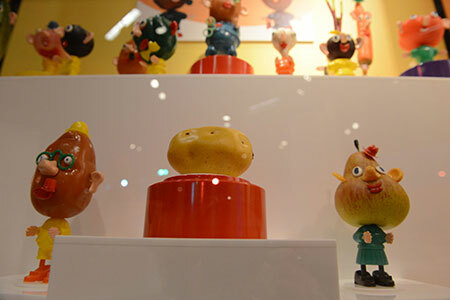 Potato Head and Friends on display at “Toys of the ’50’s, ’60’s and 70’s,” at the Heinz History Center. The museum is celebrating its 40th anniversary with several signature events beginning onMarch 1. In recognition of the museum becoming a Smithsonian Affiliate in 2013, Governor Susana Martinez declared March 1 as â€œNew Mexico Museum of Space History Dayâ€ and made it a free day at the museum for New Mexico residents. As part of the museumâ€™s 40thAnniversary Celebration, the Tombaugh Theater will be offering â€œbuy one, get one freeâ€ tickets all day. The Native FilmFest has never been about ticket sales, says Agua Caliente Cultural Museum executive director Michael Hammond. Itâ€™s a tribal educational program. 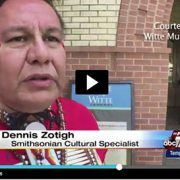 And now, in celebration of the 25th anniversary of the Agua Caliente Cultural Museum, the tribe isnâ€™t going to make people pay for that education. Two Agua Caliente Cultural Museum board members have agreed to underwrite unlimited ticket sales to all six days of the festival starting Tuesday at the Camelot Theatres. Now in its fifteenth season, Native FilmFest presented by Agua Caliente Cultural Museum Tuesday, March 1 through Sunday, March 6 is one of the most highly regarded festivals of its kind Ì¶ showcasing the best in films by, about, and starring Native Americans and other Indigenous peoples. 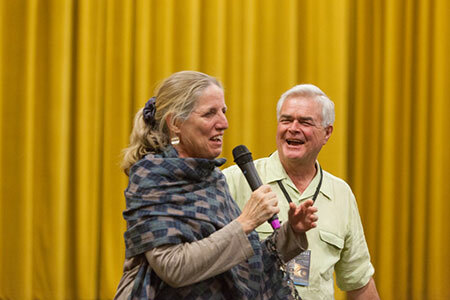 Guest Programmer Elizabeth Weatherford is Director and Founder of the Film and Video Center at the Smithsonian National Museum of the American Indian. Guest Programmer Elizabeth Weatherford & Executive Director Michael Hammond Ph.D.
Congratulations to these Affiliates on their spring accomplishments! The Goppert Foundation of Kansas City is contributing $250,000 to an expansion and bridge project underway at Union Station. The gift brings the station closer to meeting its fundraising goal for the $7.5 million project. Construction is underway on a vehicular and pedestrian bridge which will allow more direct access to the garage from Pershing Road as well as views of a new festival plaza and Science City expansion below. The Feigenbaum Hall of Innovation, one of the most popular core exhibitions at the Berkshire Museum, will undergo a significant upgrade and reopen to the public on Saturday, April 16. The improvements and upgrades to the Hall of Innovation are supported by a grant from the Feigenbaum Foundation that has pledged $500,000 to the Berkshire Museum, to be used for a series of annual improvements over the next few years. The Rhode Island Foundation has awarded more than $28,000 in grants to promote public access to historic records. The Rhode Island Historical Society in Providence will use its grant to digitize architectural drawings related to the construction of the Providence Athenaeum and Arcade by 19th-century architect Russell Warren. Rex Ellis, associate director for curatorial affairs at the National Museum of African American History and Culture will deliver the keynote talk at the Shifting Narratives symposium, to be held at the African American Museum in Philadelphia in partnership with the National Park Service, 4.16. 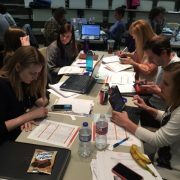 Smithsonian staff from the National Zoo, National Portrait Gallery and more will speak as part of the People, Passion and Purpose event to be held at the High Museum of Art in Atlanta, 4.19. Smithsonian Acting Provost Richard Kurin will speak on the Hope Diamond: The Legendary History of a Cursed Gem at the Northwest Museum of Art and Culture in Spokane, 4.21. Everyone Eats! 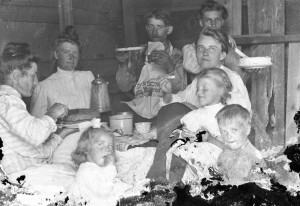 South Dakota’s Food Heritage history conference in Pierre in April. Jeff Post, curator at the National Museum of Natural History, will give a public talk on the Hope Diamond and other gems in the National Gem Collection at the Rhode Island Historical Society in Providence, 4.28. Susan Evans McClure, Director of the American Food History Project at the National Museum of American History will deliver the keynote talk at the 2016 History conference sponsored by the South Dakota State History Museum in Pierre, 4.29. 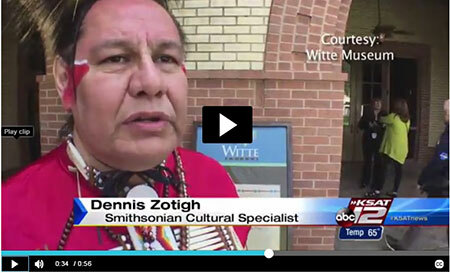 Our diverse network of Smithsonian Affiliates helps connect local stories to our shared national history. With more than 200 Affiliates in 46 states, Puerto Rico and Panama, each has a special story to share about what makes them unique to our network. Here’s one of those stories. Special thanks to Duane Brodt, Director of Public Relations at Conner Prairie for this guest post. Two hundred years ago, a fur trapper named William Conner made his living in the woods of Hamilton County. He lived among the Native Americans on the banks of the White River, fought in the War of 1812 and played an instrumental role in the transformation of Indiana from a territory to statehood. He spent the next 15 years transforming himself from a trapper and trader to a gentleman and statesman who lived in a red brick home at the top of a hill â€“ the Conner House, the heart of Conner Prairie. Over the years, the house bustled with business and politics. It was the meeting place for county commissioners, home to the Circuit Court and served as the post office in the early days of the county. Visitors traveled from far away to discuss legislation around the dinner table and strike business deals in the best room. It was a cultural hub where big ideas were stretched and pulled as leaders wrestled with how to best guide our state though its infancy. 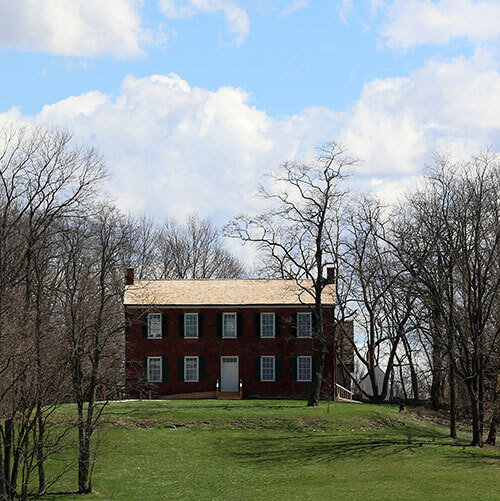 On Thursday, to celebrate Indianaâ€™s bicentennial, a renovated and reimagined Conner Homestead will open and the story of William Conner will be transformed â€“ from a domestic story to one that tells the larger tale of Indianaâ€™s transformation from territory to statehood. Rather than entering the home through the back of the house through the kitchen, visitors will now enter the home from the actual front of the home, as those traveling the White River and traversing the prairie would have entered Connerâ€™s home in the 1800s. Exploring the rooms of the Conner House will now allow visitors to immerse themselves in interactive, technological exhibits that explore the questions of the day and how the land was settled, surveyed and sold. Young visitors can contrast and compare their chores, meals and clothes with those of the Conner family and friends. Interactive exhibits will encourage visitors to ask themselves how Conner and his family should be remembered in history. Exhibits will also allow visitors to choose what qualities were necessary for someone to be a successful pioneer in Indiana. The Conner House now more strongly complements William Connerâ€™s story and shows how the family that lived here â€“ and the people who came in and out of the front door â€“ helped shape our stateâ€™s history. The restoration of the Conner Homestead at Conner Prairie is designated an official Indiana Bicentennial Legacy Project. Spanning 800 wooded acres in central Indiana, Conner Prairie welcomes nearly 390,000 visitors of all ages annually. As Indianaâ€™s first Smithsonian Affiliate, Conner Prairie offers various outdoor, historically themed destinations and indoor experiential learning spaces that combine history and art with science, technology, engineering and math to offer an authentic look into history that shapes society today. Special thanks to Sarah Dumas, Director of Education at the Oklahoma History Center, for this guest post. 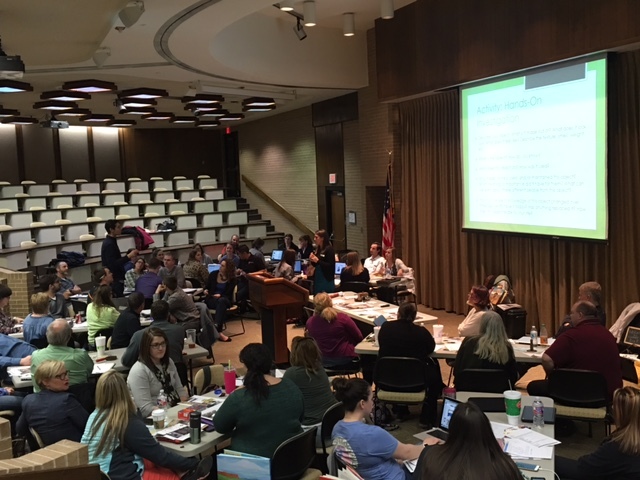 On February 11 educators from the Oklahoma History Center (OHC) were invited by the Smithsonianâ€™s National Museum of American History to participate in its Letâ€™s Do History TourÂ in Norman, Oklahoma. OHC Education Department staff provided a one-hour presentation about various programs offered by the Oklahoma History Center. The presentation included a detailed discussion of our traveling trunk program, with an opportunity for several unique learning experiences. Teachers explored and interacted with four different trunks. They also participated in two hands-on activities facilitated by our staff. 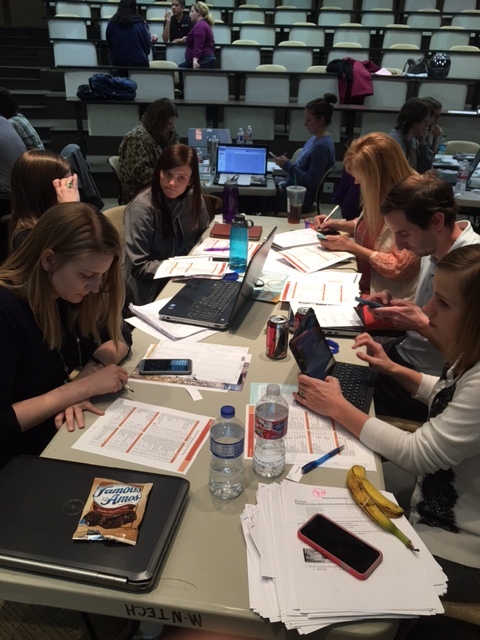 The first activity required teachers to investigate history by analyzing an artifact, and the second activity was to assemble a pioneer family and pack their wagon for a trip to Oklahoma Territory. It was certainly a fun afternoon for us, and it seemed the teachers enjoyed themselves as well. Perhaps the best part of the afternoon was when we returned to the museum and checked our email. Waiting in our inboxes were dozens of email requests for use of OHC resources, including the traveling trunks. In fact, of the fifty teachers who attended the workshop, almost half already made plans to participate in one of our programs or utilize our resources. What a wonderful end to an exciting day with some fantastic teachers and the great folks at the National Museum of American History. Interested in participating in a Let’s Do History Tour? Contact your National Outreach Manager for more information.